The Football Front’s senior writer, Kevin Leonard, gives us a preview of the Premier League, ahead of its big kick off this weekend. Ladies and gentleman, it is back. The Premier League is back! The 20 best teams in the country (or the 19 best this season with one from Wales) all playing each other over 9 months of grueling passion, misery, suspense, ecstasy and excitement. It’s brilliant to have it back. Naturally we all want to know exactly what will happen, who will finish where and ultimately who is going to be champions. This is why I am here, to give you the answers you so richly crave. Let's start with addressing everyone’s favourite part of the Premier League, who is going down! Other than Wigan’s first season in the Premier League they have never finished in the top half. The last two campaigns have finished with the Latics in 16th and spending most of the season flirting with relegation. 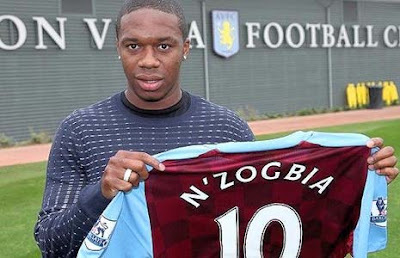 Having just sold Charles N’Zogbia to Aston Villa, one would think they will be in danger again. Blackburn, we were led to believe have a coup of wealth at their disposal. Yet after selling Phil Jones to Manchester United their only arrivals so far have been David Goodwille and Myles Anderson. The later is a 20 year old defender whom Blackburn recruited from Leyton Orient on a free transfer. Based on this, unless some more talent is added to the ranks, even the most optimistic of fans could not see anything but relegation contention again this season. These two blue and white clubs, in my humble yet questionable opinion, I expect to drift from the rest and make up the base of the Premier league table. Above them, in what we hope is an exciting fight to avoid the third relegation spot are a cluster of teams that could easily finish mid table as well. I would expect Wolves to be in the reckoning given whenever they are in the Premiership that’s where they always are. Survival may be a little more comfortable this season with the addition of Roger Johnson from Birmingham. Bolton are a side that have been over hyped recently, after allegedly playing “good football” under Owen Coyle. When in actual fact they were third in the table of long balls played last season and still average fairly low possession statistics. For all the compliments they have received under Coyle’s management he did only manage a 14th place finish in 2010/11. They could be one of the surprise strugglers indeed. Norwich and QPR both who have just been promoted from the Championship will more than likely struggle and spend most of the campaign from about 20th to 13th. QPR now have the scoring capabilities of “England International” Jay Bothroyd, and with Abdel Taarabt more likely to stay with the London club, one should expect the title winning squad from last season to be good enough to avoid the drop. Norwich however do not have a playmaker like Taarabt and they also do not have the available funds QPR will have in January should things look ominous. They do have a very well educated manager in Paul Lambert who earned his coaching qualifications in Germany. Which should make him a little more competent tactically than the likes of Ian Holloway. Whilst I can’t see the Canaries looking doomed early on, I can see happening in May. Given Newcastle’s love for repeatedly pushing the self destruct button it has hard to see top half success for them this season. Twitter rants from Joey Barton and Josè Enrique show that the club is once again in turmoil. The free sale of Barton is pending on any club simply making an offer, Enrique is expected to leave soon after. Not to forget Kevin Nolan has already been sold to West Ham. The club's highest profile arrival so far has been Demba Ba. Sunderland were one of the worst teams in the league in the second half of last season. The black cats lost 10 of their final 14 games and looked a hopeless cause without Darren Bent. They will now also be without Danny Welbeck but the arrival of former Man Utd boys John O’Shea and Wes Brown should make them a tough side to score against this season. Without a prolific striker or particularly exciting midfielders, mid table seems were they will end up. The midlands trio of Aston Villa, Stoke and West Brom are expected to be with Newcastle and Sunderland. Nothing there spells relegation but at the same time nothing suggests a finish in the European spots. Swansea may be the surprise package of the season. Brendan Rodgers worked under Josè Mourinho at Chelsea and has implicated the tactics of that Chelsea side into his own project with Swansea City. A very well put together 4-3-3 system which resulted in them having the best defence at home in the Championship last season. The fans will play an important role at the Liberty Stadium, as national pride will come into play with Swansea being the first Welsh team to play in the Premiership. The 19 English sides will face a tough test in every one of Swansea’s home games. Away from home they will lose their fair share coming up against quality not experienced before but don’t be surprised to see them comfortably in mid table throughout the season. Tottenham, Everton and Fulham are just good enough to be ahead of the rest in the midtable positions. Everton have been as quiet as a ninja in the transfer market, they have not brought anyone but they also have not let anybody important go. Arteta, Cahill, Howard, Bilyaletdinov, Beckford and Hetinga are all still present. Whilst they may start off badly as Everton usually do, they always seem to find consistency and finish higher than what we expect them to. Fulham will come as a surprise to a few people I think. They have a manager who was wrongly dismissed by Spurs back in 2007. 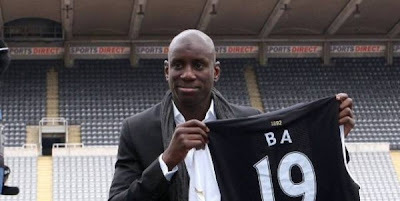 An interesting tale of the season may just be him battling with his old employers to pip them to a Europa League spot. Daniel Levy has been a little over ambitious in the transfer window, making bid for the likes of Juan Mata who is currently captain of a side already in the Champions League. One must wonder why he would trade that in to get to where he already is. Chelsea could disappoint a few people this season. They do have a very good new manager in Andres Villas Boas who won virtually everything with FC Porto last season. Villas Boas’ Porto also became league champions of Portugal without losing a single game. My scepticism comes from a somewhat ageing squad. Drogba, Lampard, Cole, Malouda, Anelka and Terry are all into their 30s now. Chelsea did finish in second last season but let us not forget last season the champions finished with the lowest points total of any since 1967, to finish second does not suggest they will go onwards and upwards this campaign. The blues did spend a lot of time outside the top 4 during 2010/11 as well. While Liverpool and the Manchester clubs get stronger with the signings they have made, Chelsea remains inactive so far. On the subject of Liverpool, we may see them even amount a title challenge for a while this season. Ultimately winning the league may be a stretch too far but the reds are shaping into a very impressive outfit. Luis Suarez is one of the best strikers in the World, not a bad goalkeeper either. He scored goals with Ajax, Uruguay and already in his short Anfield career. Suarez, Carroll and Kuyt up front backed up by Meireles and Gerrard in midfield promises at the very least Liverpool will score a lot of goals this coming season. Those goals should be enough to get them back into the Champions League. Arsenal are a little difficult to gage, a lot depends on where Nasri and Fabregas are playing come September 1st. Should they stay, we can at least be sure Arsenal will maintain a place in the Champions League. If the Gunners are to have realistic title ambitions, central defenders and goalkeepers must be added. In terms of the goalkeeping issue, they perhaps do not require one to replace Szczesny but they are simply an injury away from having Almunia or Fabianski in goal again. Arsenal always seem to be just a few players away from being up there with the title contenders but it seems the same story for them as it is for Chelsea. Liverpool and the Manchester Clubs appear to be improving whilst Arsenal remain just good enough to finish higher than Tottenham but not good enough to go onto the next level. I think this is where we will see the season’s most compelling battle. Arsenal, Chelsea and Liverpool will eventually come to a situation where it will be any two of these three to finish in the Champions League spots. The Previous paragraph of course means, again in my humble opinion, that Manchester City will be challenging for the title. We all knew it had to happen someday, may as well be now! The eventual sale of Tevez will not hinder the big spenders at all if Sergio Aguero plays anything like we know he can. Aguero is a strong striker with pace and excellent finishing that has frightened La Liga defences ever since he arrived in Spain. 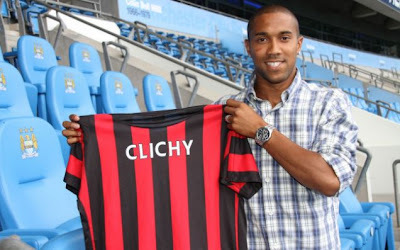 The addition of Gael Clichy is a clever one, given his time at Arsenal we know he will deliver excellent crossing from the left hand side. The young Serbian Savic also appears to be a good, slightly dirty, defender based on what I saw live at the Dublin Super Cup. These players will ensure that Champions League football will not be too much of a strain on the squad. The quality from last season is still great too, the likes of David Silva, Edin Dzeko, Yaya Toure, Vincent Komany, Joe Hart etc should see City at the very least challenge their neighbours for the Premiership crown. Last but by some opinions least we come to Manchester United. Sir Alex Ferguson may be a lot of things but one thing he is not is stupid. He knows exactly what Manchester United were last season. He knows that the same points total will not win him the league this coming season. He has wasted no time in replacing Edwin Van Der Sar with David De Gea. Ashley Young is at last at a big club, no disrespect Watford or Aston Villa, and he will finally become the World Class player he has the potential to be. Rumour has it Manchester United have had their bid for Wesley Sneijder accepted by Inter, should they convince him to sign they will certainly have a replacement for Paul Scholes. A better player in fact Man Utd fans! The speculation over Sneijder and the addition of Young along with the sale of Brown and O’Shea may actually mean United will be an attractive team to watch this season. Last season they did finish as Champions but aside from their own fans nobody enjoyed watching them. Hopefully at least if they do win the league again we can look at them from a neutral point of view and enjoy it somewhat. You can follow Kevin on his Twitter - @megatronSTALIN, Kevin regularly writes for Forza Italian Football too. What is the true price of success? Just How Good is Chelsea's Gary Cahill? Spain: 4-6-0 formation: A revolution in the making? Jose Mourinho. The ultimate manager? Or the ultimate Journeyman? Defoe or not to Defoe?